Corn Capital Innovations > Innovation Blog > Farm Profitability > How Can You Benefit From A SWOT Plan? How Can You Benefit From A SWOT Plan? SWOT is a simple system that can be used to analyze your business. Reviewing each of these areas for your farm business will help you formulate better strategies. During your analysis, consider each section of SWOT with realism and try to be specific. It is worth your time! Recognizing where your business can grow. Focusing on how to be competitive. Anticipating threats and how to be proactive vs. reactive. Strengths & Weaknesses – Both strengths and weaknesses are internal. Here is where you have the most control. Control over what crops to decide to grow, how to plant, nurture the crop during the growing season and how you sell your crop. Opportunities & Threats – Opportunities and threats are external. They are things that you cannot change nor control; such as land for sale and at what cost, unpredictable storms, excessive rain or drought, and grain market prices. Read this article “Tool helps analyze business side of farm.” by Kim Lang of Waterstreet Solutions. 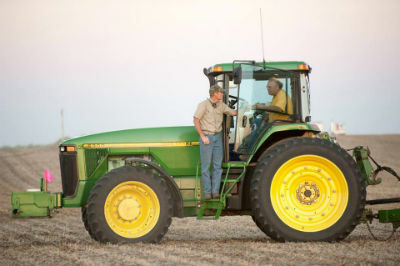 It ran in the November 2009 issue of Prairie Farmer Magazine and outlines the SWOT process. Many businesses both small and large have used SWOT. Doing an analysis such as this will give you a starting point to your individual plan. It will allow you to look at the big picture and take action by controlling what you can, reducing threats and positioning yourself to take advantage of any opportunities that come along. Let Corn Capital Innovations assist you with creating a plan for your farm business in 2014. Contact us today!